Ah well, we haven’t been to adapterland for quite a while, have we? I do have more pressing things to do as of now, but whatever. I bought an adapter cable for my new server setup at home, as basically all SFX PSUs with moderate wattage (sub-500, 600W?) 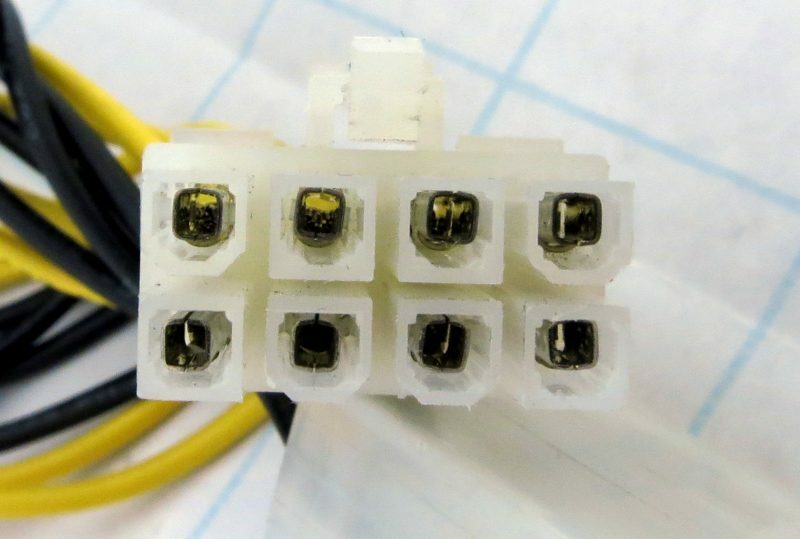 do not offer more than one 4+4-Pin or 8-pin ATX12V/EPS12V power plug. Well, why should they, that’s not what they usually need to have. But most server boards, especially dual and quad processor boards, do “require” 2×8-Pin auxiliary power. On the contrary, there is no powerful GPU in that system, so the 6/8-Pin PCIe power cable would flap around in the breeze. 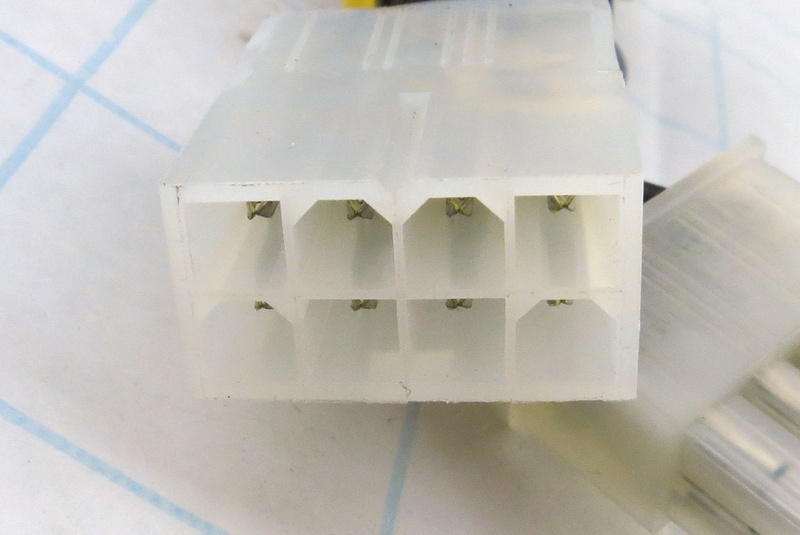 They both carry 12V and GND connections, but have a different receptacle key, so why not add an adapter and make use of it? So I did. And because I did not want to wait for a few weeks, I bought from a seller on Amazon Germany. Quick shipping, moderate price (4,52€) – not too low to be suspicious, but the lowest I could find. 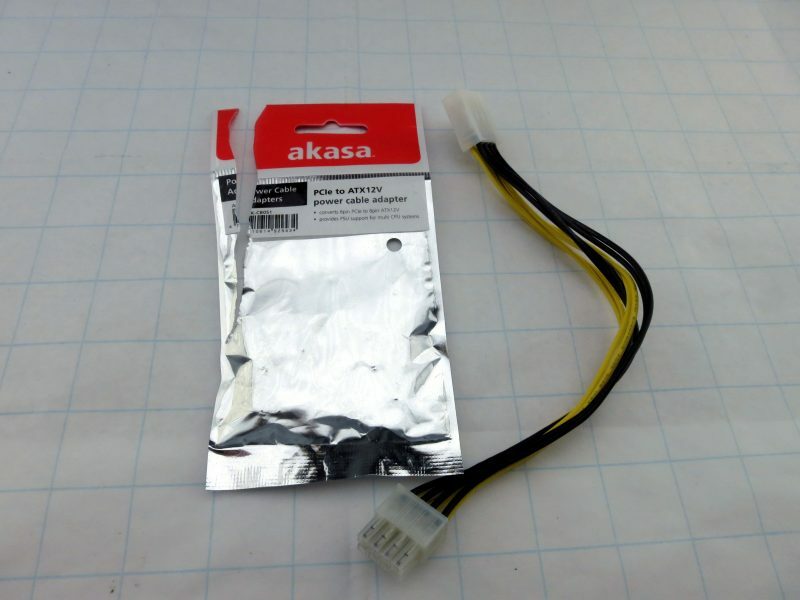 And I chose the Akasa brand cable, model AK-CB051. What could possibly go wrong? 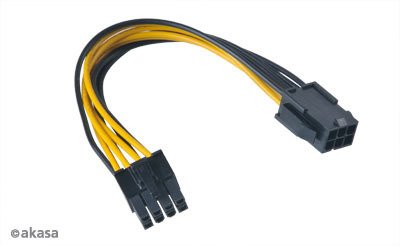 This cable adapter converts 6pin PCIe connector to 8pin ATX12V CPU connector. 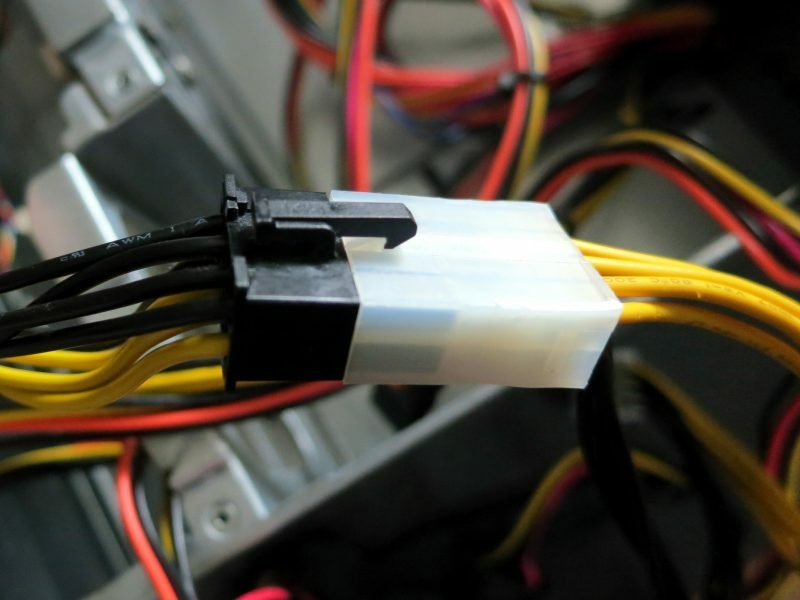 Provides support for dual and quad CPU motherboards from a standard ATX power supply. 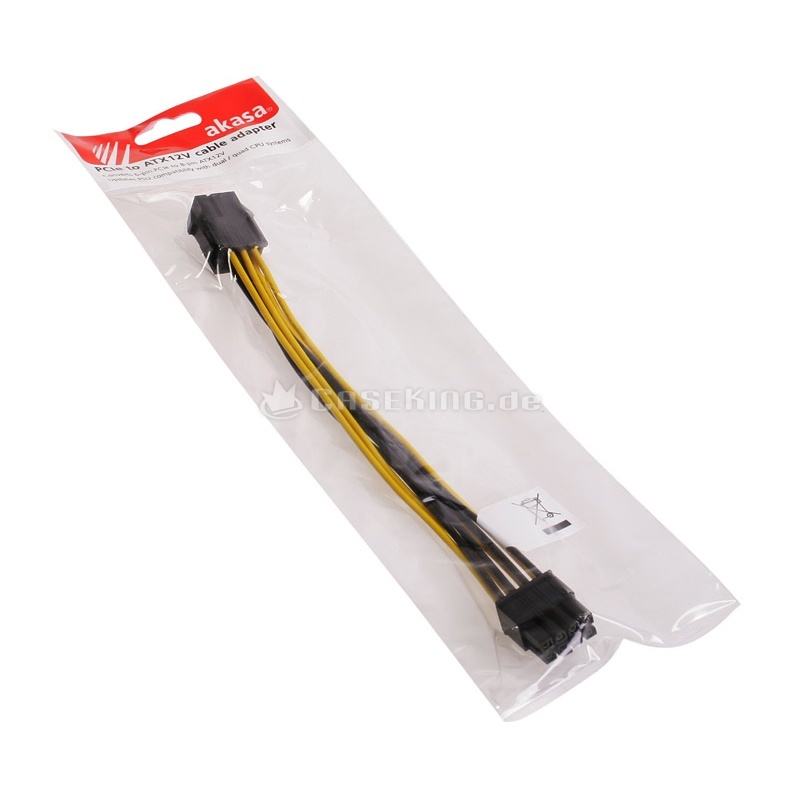 Compatible with AMD Opteron and Intel Xeon processors. …but this should have been a 6-pin PCIe to 8-pin EPS12V adapter. Not 8 to 8 pin. And it doesn’t have black plugs. But from the cable description and also a quick measurement, this is AWG18 wiring. I can live with that. THAT looks odd, doesn’t it. And it is! The six-sided key fits the four-sided one, but obviously not the other way round. So this power supply almost allowed me to put on a wrong adapter that will fry the power supply, the board, or at least the weakest adapter cable, but it also saved me because it still has color coding. Most newer power supplies come with black wiring and/or tight mesh around them, so I wouldn’t have noticed that. 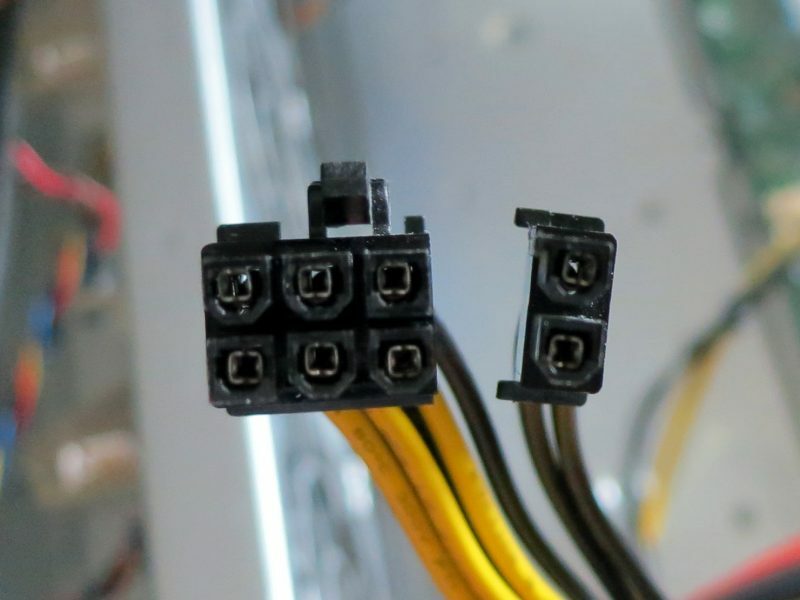 I just checked my new Seasonic Focus Gold unit (with said black wiring), and it does have correct terminals on the two 6+2 pin PCIe plugs…so, wouldn’t have fit, but if it did, I absolutely would have powered on that thing until 450 watts of raw 12V power would have looked for the path of least resistance.